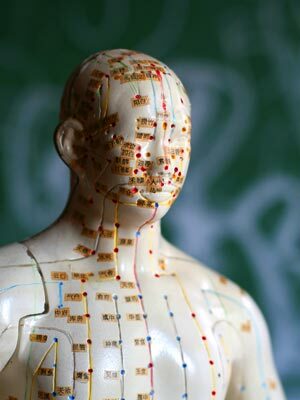 Acupuncture is a part of a complete medical system known now as Traditional Chinese Medicine (TCM). It is a culturally-based system of how the human body works and as such, its concepts and treatments can seem strange to those of us in the west. Unlike the western anatomical model which divides the physical body into parts, the Chinese model is more concerned with function. Traditional Chinese Medicine is thus holistic, based on the idea that no single part of the body can be understood except in its relation to the whole. A symptom is not traced back to a cause but is looked at as a part of a totality. A person who is well, or "balanced", has no distressing symptoms and expresses mental, physical, and spiritual balance. When that person is ill, the symptom is only one part of a complete bodily imbalance that can be seen in other aspects of his or her life and behavior. Understanding that overall pattern, with the symptom as just one part, is the beauty and the challenge of Traditional Chinese Medicine. In acupuncture, we seek to address the root imbalance in order to resolve the overall imbalance that is giving rise to your main complaint. How does illness arise in the Chinese medical model? Consider that humans are complex creatures living in a constantly changing environment. To sustain life, our bodies continually work to maintain a homeostatic (i.e. balanced) state. In the TCM model, illness occurs when that internal balance is upset through such things as excessive or prolonged stress, insufficient rest, trauma, worry, poor diet and environmental conditions, and of course bacteria, viruses, and autoimmune disorders, to name just a few “pathogenic factors”. The acupuncturist inserts fine sterilized needles into the channels of energy that form a web throughout the entire body, and connect all parts of the body together, to restore balance to your energetic systems that are put out of balance by the pathogenic factor. Over the past 30 years, acupuncture has garnered increasing attention and respect by more and more people in western countries. Patients are looking for options to complement their standard medical care and at the same time are becoming more aware of the powerful connections between body, mind, and spirit. In Chinese Medicine, there is no separation of body, mind and spirit and the patient is treated as an entire person, not as a disease off in isolation from the rest of the whole. Even though acupuncture is an ancient tradition, it can address many of the manifestations of illness in our modern society, where many of us live in a constant state of fight or flight and our sympathetic nervous system is in overdrive. I like to think of acupuncture as tapping into our parasympathetic, which is the rest and rejuvenate part of our nervous system. Your body heals itself when in the parasympathetic state. As an added bonus, most people find acupuncture to be deeply relaxing. Contact me and let's talk about how acupuncture can help you. 15 minute phone or in-person consultations are always free.